Q: Am trying to work out what to wear when trapsing up & down Manhattan! Any suggestions? A: Great question! Yes, in case you missed it, check out my post from yesterday, The Doctor is IN, Again, Well, Still to see the Dr. Scholl’s Originals as an option. I was able to score mine on www.shoes.com for $40 instead of paying the full retail price. 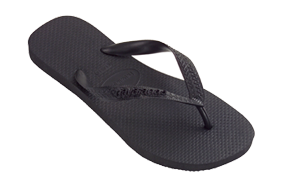 The great flip flops from Havaianas (www.havaianas.com) are also a fantastic pick. They have been able to engineer the perfect amount of what I call “squish” on the sole to be cushiony while still being supportive enough to keep you on your feet for extended amounts of errand running. And, at a mere $18 you don’t have to spend time debating which color to get because you can easily afford them all. Many of my girlfriends have commented that flip flops are not their choice because of how dirty their feet get from all the walking about. 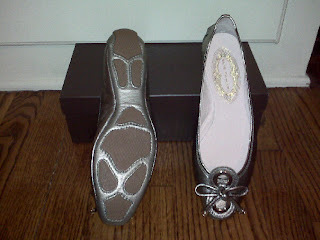 So, a delicious little flat I’ve come to think of as socks with feet is the Elie Tahari Janine Driver. I first discovered them on the Oprah Fashion Intervention episode last Fall. And you know Mama O never steers us wrong! 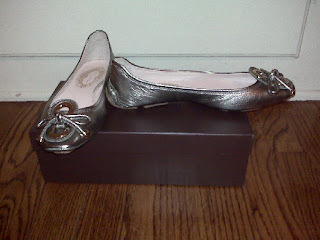 :) So, I bought my bronze pair on Zappos.com for $198. You can still find them in several different colors and materials for the same price (http://www.zappos.com/elie-tahari-janine-driver-3-black-1). The broken sole effect is what makes this shoe so spectacular. It is so flexible, you hardly feel like you’re wearing shoes at all. It’s really quite amazing. I find that they don’t make my feet too sweaty in the heat either.